We are in the middle of pool party season and with the heat waves happening across the country, swimming pools seem to be the only reasonable place to host an outdoor event. That being said, hosting a pool party is a huge responsibility and should not be taken lightly. When preparing for a pool party, there are two elements that are essential that you take into consideration well before the menu choices, music selection, or pool accessories. 7 days before the party, make sure to shock your pool. 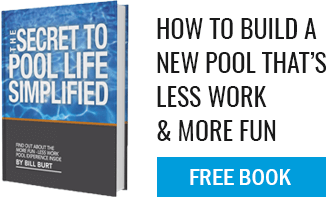 Normal shocking guidelines are 1lb of chlorine to every 10,000 gallons of pool water. If your water is especially cloudy or you are seeing evidence of algae, consider tripling the chlorine amount to really get the situation under control. A few days before the party, use a clarifier to help remove oils and other organic matter that tend to float to the surface of your pool. This is especially important if you are still using your pool regularly in the days leading up to the event. The day of the party, be sure to get the net out and scoop up any wind-blown debris that might have gotten in the pool. It’s party time and you want your guests to be wowed by your sparkling clean water. Depending upon the size of the party (bather load), consider “shocking” the pool at the end of the party (literally right after the last guests leave). If a lot of people have used the pool, there is a fair chance that the next morning the pool will show the side effects. Stop these “issues” by shocking at the party’s end. Safety and water quality go hand in hand because they are both focused on presenting your guests with a festive environment that takes their health and well being into consideration. These are the details that you don’t always consider but that can make or break a great pool party.